There are some simple ways to make sure that daily planning becomes a habit and a normal part of your routine. In the picture above, I show a home for my planners on my desk at the office. Yes, my personal planner does live on top of my in-box. A nice recipe holder or a simple tray works well as a dedicated planner spot. But don't limit yourself to one home for your planner. Create a space in your car, in your bag, next to your couch, next to your bed, or anywhere you tend to stop. Having your planner nearby - and open if possible - makes it so much likely that you'll take a second and check it or enter information into it. Trying to create a new habit sometimes requires external forces. Yes, that means that I need an assistant to MAKE ME DO THE THINGS. I hate doing The Things. If you also hate doing The Things, set a phone alarm reminder or two at good times of the day to remind you to check your planner. Maybe you need to set an alarm 20 minutes before you leave for work or carpool or 15 minutes after the kids get on the bus. Perhaps the alarm needs to go off after work. The timing doesn't matter that much, as long as it fits your life. What does matter is that you make yourself stop and look at your planner whenever that alarm goes off. Let it annoy you. Let yourself respond with real action. Maybe even give yourself an M&M. Checking your planner must become a habit for your planner to be effective for you - and the alarm (along with your response to it) helps. If you are a Loyal Reader, you know how much I LOVE coffee. Every morning, I start my workday with a hot cup of cafe' au lait. Guess what else I do simultaneously? That's correct! I look at my planner and, if I didn't do so the night before, plan my day. 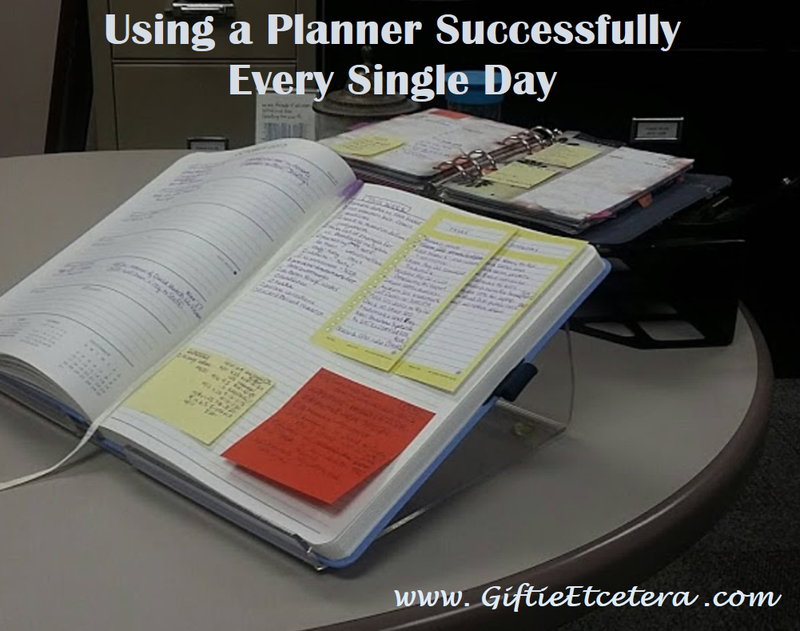 Whatever your daily thing happens to be, try to associate it with using your planner. A nightly glass of wine? Look at your planner. Put baby down for nap? Look at your planner. Kiss your husband or wife goodbye? Look at your planner. Say your morning prayers? Write a verse in your planner and then review today's plan. Couple something pleasant that you are already in the habit of doing with a bit of dedicated planner time. You'll find yourself using your planner more regularly in no time at all. I love these tips. I need to set a timer to check my planner and to do some of the tasks in my planner :)i also like the idea of writing a verse in my planner. I think this would be a great way to start the day and something to meditate on throughout the day. I love your posts. They are real life. Although I am ow retired, I still have things that need to be done and things that I want to do. My planner is reviewed each morning at breakfast. It's fun because hubby has his planner out, too. We coordinate when we can for the use of the car by consulting each other when we make the original appointment or scheduled task. During the week between Christmas and New Year's Eve, we break out the next year's planner and double check that everything that needed to be entered has been "set" in the new pages. I have software on my laptop that handles everything, so, if necessary, I ca print out daily pages. We use a weekly format now. Our finances are not handled in the planners other than due dates for those things that only happen yearly or semi-annually. Our tax appointment is made a minimum of six months early and is a planner item. Renewal of licenses, insurance, or memberships are also entered. I keep my TN "Everything" planner on top of my filing cabinet which is right next to my desk. I also have a desk planner where I break down my to do lists, etc. for the week. I keep both planners within easy access throughout the day. Xem quà tặng độc đáo tại website quà tặng của mình nhé!